Reading Recovery in Canada is a successful early intervention program for children struggling to read and write. We know that children who struggle to read and write in their early education will continue to have challenges within the education system and on into adulthood. 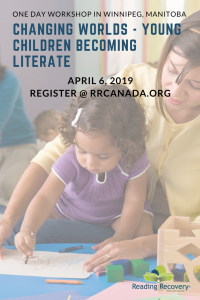 Reading Recovery is an early intervention program the provides children in grade 1 who are struggling most with reading and writing with one-on-one lessons tailored to their needs and provided by a specially trained teacher. Reading Recovery offers effective short-term early literacy 1 on 1 teaching designed to help the lowest achieving children become confident readers and writers in just weeks. The impact of Reading Recovery in Grade 1 lasts throughout life. Teachers are specially trained to deliver Reading Recovery in their schools with an intense 1 year training period. Find out more about how Reading Recovery works from our FAQ page. Every year, data is collected from each school to paint a picture of Reading Recovery in Canada. You can find this on the Research page of this site. 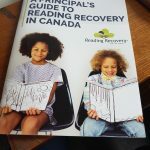 Reading Recovery is implemented in Canada in individual schools, entire school boards or districts or by provincial departments of education. You can find Reading Recovery in Yukon, BC, Alberta, Manitoba, Ontario, PEI and Nova Scotia. Reading Recovery is available in both English and French throughout Canada. The Canadian Institute of Reading Recovery is a charitable organization with a 15 member board of directors. This organization holds the royalty free license for Reading Recovery in Canada. The CIRR ensures that the implementation of Reading Recovery is consistent across locations through the use of Standards and Guidelines. 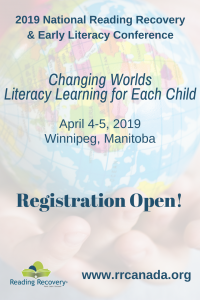 As well the CIRR provides professional development for Reading Recovery Trainers, Teacher Leaders and Teachers through conferences and resources. If you would like more information about Reading Recovery and how to implement it in your area please explore this website further, download our brochure or contact us! Reading Recovery is the best evidence yet of the direct link between good design and education excellence. Reading Recovery has changed me professionally by helping me be more observant and reflective of my students’ abilities and needs. My lessons have become much more “child focussed” and less “teacher driven”. I am eager to observe the strengths and needs of my students so that I can support their learning. As a reader and a writer I find I can express myself in ways I never knew before. I have witnessed the transformation a child can feel when they learn to read and write. We have already seen a huge difference with Michael and how he is actually excited to show us books from school. Reading Recovery dramatically reduces the number of grade one students having difficulty learning to read and write. I am simply amazed at the progress my little guy has had in this program. He only began a few weeks ago as a non reader and now he is reading. What a boost to his self confidence!! Thank you for an excellent program!